All meals ( Breakfast, Lunch & Dinner) veg & non veg both. Tea coffee making facility in the rooms. 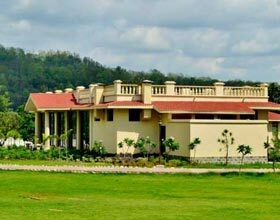 Free use of recreational facilities. Pool table, GYM & spa on chargeable basis. 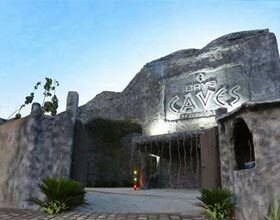 Wildlife show/movie in the evening on Golghar. 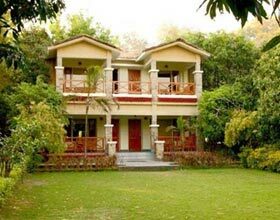 Child between 5 – 12 years will be charged Rs.2100 per day inclusive of all meals and an extra bed . 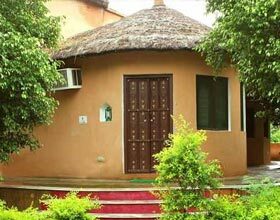 Above 12 years will be charged Rs.2800 per day inclusive of all meals and an extra bed . 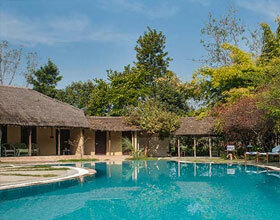 Note : Minimum 2 nights stay is required to avail above special discounted rates per night . 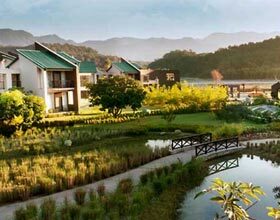 A paradise on the trimming edges of the Jim Corbett National park, Infinity Resorts Corbett is an exquisite retreat built in epic British style blended with modern comforts. 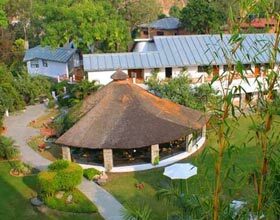 A flawless amalgamation of cordial conviviality, humble personnel and immaculate services, this Corbett resort is an exemplary specimen of sumptuous lodging. 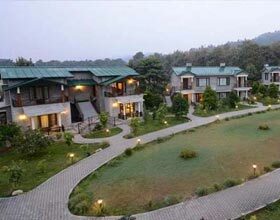 This luxury resort, cradled along the swaying beauty of Shiwalik foothills, boasts of its picturesque vistas from guestrooms, social venues including the Sun Deck and eateries. 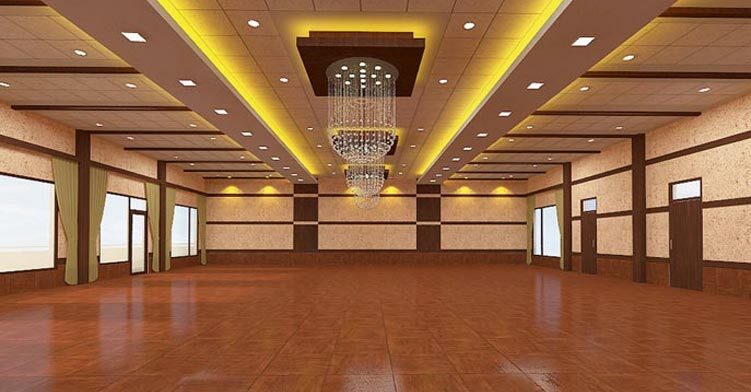 A well appointed business banquet with state of art facilities is adored by guests desiring to mix business with leisure. 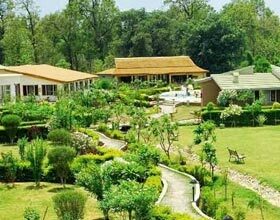 Enchanting the glory of this lavish resort in Corbett are its wellness facilities including a splendid mango-shaped swimming pool, well equipped health centre, and resuscitating spa center. 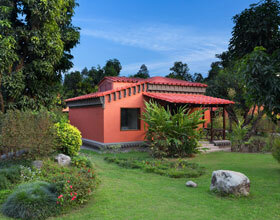 The Infinity Resorts Corbett offers exclusive jeep safari and elephant safari. 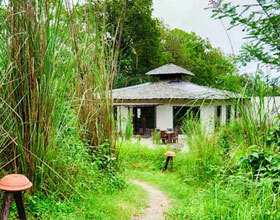 Nestled in the expanse of verdant gardens and orchards, all 50 guest accommodations open into private sit-out verandahs with chairs to snuggle down and gaze the charming beauty of the Mother Nature. 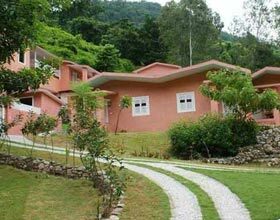 All guest rooms offer splendid vistas of exquisite scenic mango orchards and cultivated gardens on River Kosi along the lower Himalayan range; and are categorized as Garden Facing or River Facing rooms. 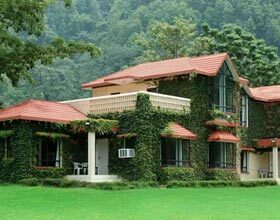 A realm of opulence lifestyle, the rooms of Infinity Resorts Corbett are provided with modern day amenities including telephone facility, DTH TV and solar geysers. 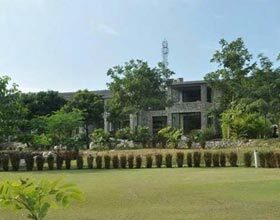 A connoisseur's delight, the restaurants of Infinity Resorts Corbett is an epitome of scrumptious fares from around the world and flawless dexterity of chefs. 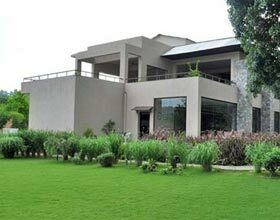 The conventional restaurant of the Corbett region, Golghar serve lavish spreads during three meals of the day with Indian, Chinese and Mughal kitchens. 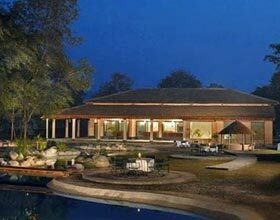 Guests adore the exclusive expert narrations during the dinner by wildlife naturalists at The Golghar, a multi-cuisine restaurant. Enjoy the eclectic Pan-Asian cuisines at Indochine, a serene eatery nested between the Golghar and the sun deck with awe-inspiring interiors creating the custom Asian ambience. 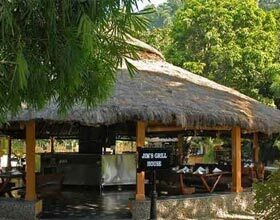 The Grill House is a nirvana with array of cuisines from delectable appetizers to delighting desserts.